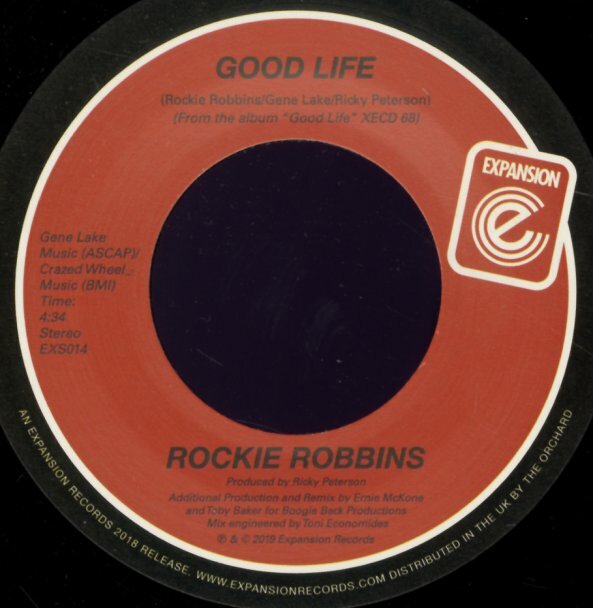 Two new groovers from the legendary Rockie Robbins – an underground soul hero in the 80s, really back in fine form here! "Good Life" is a tune that's as upbeat as you might guess from its title – positive, upbeat, and stepping forth with a groove that's as great as its message! "Let's Groove" has a rhythm that's slightly more contemporary, but still in that midtempo mode that always seems to suit Rockie's vocals the best! © 1996-2019, Dusty Groove, Inc.